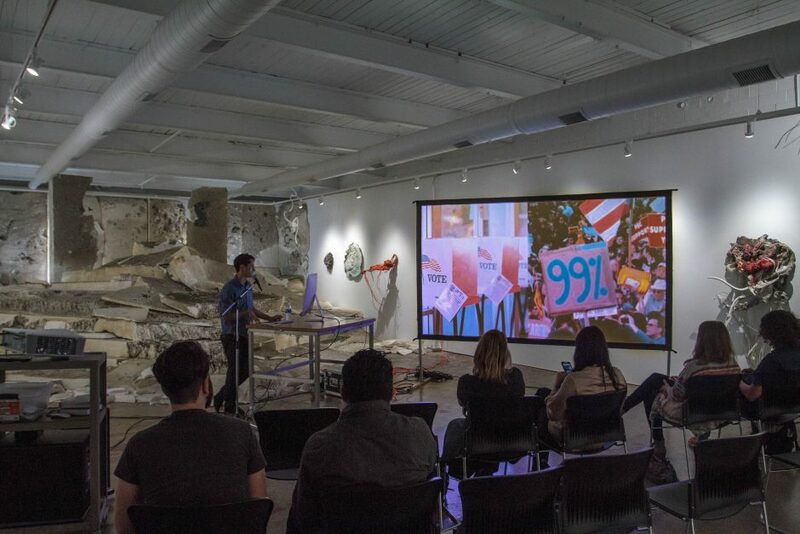 An Artist Talk: Ben Valentine – Beyond the White Cube from Big Car Collaborative on Vimeo. Ben began his discussion on October 6, 2016 by giving us a summary of where it is he studied in Southeast Asia for the three years he resided there followed by some art history- how they got to where they are today. Ben’s original focus was online media- more specifically the political memes in China. Not surprisingly the government being as oppressive as it is does not allow for any sort of political burns. The controlled censorship doesn’t allow pictures such as the famous tank man to spill through to the media but many clever artists have become aware of how to get away with it- creating remixes that poke fun. All of this art is not to inform or to persuade anyone but rather to create and enact the changes people have in mind. Although not a lot of people are online, or educated enough to read the books that preach this, or just have differing opinions due to social norms. Still they find alternative art spaces for creative and free expression for artists in Southeast Asia. Valentine, a writer and curator, focused on several sites he’s encountered, especially in Vietnam and Cambodia, but also Myanmar and online communities. –Nguyen Thi Thanh Mai, Vietnamese, video or digital prints, Nguyen Thi Thanh Mai, from her “Day By Day” project dealing with Vietnamese living in Cambodia.